Following what can only be described as an AWESOME 12 months, Adele is set to return to the Grammys. While it was initially teased that the British singer, along with Beyoncé, would be performing at the awards show, which takes place on February 12th, Grammy bosses confirmed the news that Adele would be returning to the Grammy stage. 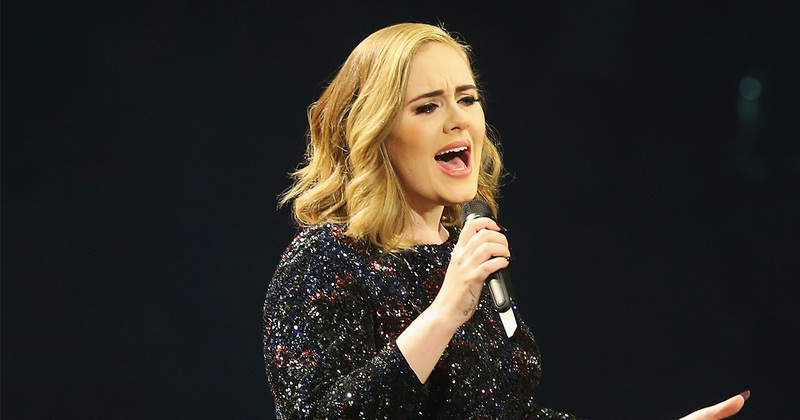 Now Adele is set to perform at the Grammys for a third time. The London-born singer previously attended the awards show, which honors the best music from the past 12 months, last year, in which she performed her track “All I Ask.” However, the performance was met with technical difficulties, leaving the performance pitchy. She then later said that she was treating herself to an In-n-Out burger, which we totally get tbh. Meanwhile, Adele will join John Legend, Metallica, Carrie Underwood and Keith Urban in performing at the Grammys. It’s also rumored that Beyoncé, who has become the most nominated in woman in Grammy history with her album Lemonade, will perform at the event. The 59th Grammy Awards telecast will take place at the Staples Center in Los Angeles. They will air live on CBS on Sunday, February 12th at 8 p.m. ET/5 p.m. PT.